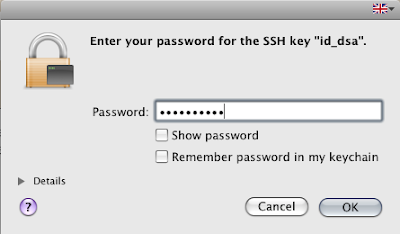 If you have a machine on the internet that you can connect to via SSH, then you should consider disabling password access and use only key / passphrase. will do. Either is good. if you get an error about "authorized_keys2" not being available, its likely because the account on remote machine has never SSH'd to anywhere else. So SSH to somewhere and try again.